Paul Berkman recently published an op-ed in the Alaska Dispatch News on the potential for a U.S.-Russia reset and the first Arctic head-of-state summit under the upcoming Trump administration. The original article can be found here, and the full text can be read below. Visit our Publications page for additional resources. Interactions between Russian President Vladimir Putin and U.S. President-elect Donald Trump already reflect a significant change in Russian-U.S. relations. This may be in the common interests of our world. It is about a plausible future and introducing options that can be used or ignored at the highest levels. Since the 1950s, the U.S. and Russia have been leading stewards of peace in Antarctica and outer space. Insulated from global geopolitics, these regions reveal a phased approach to reset U.S.-Russia relations today. The Arctic is central to the U.S.-Russia reset. 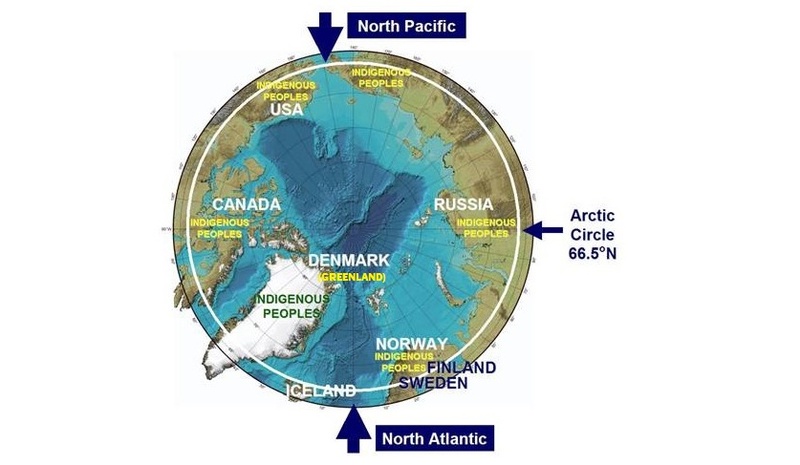 For Russia, with maritime sovereignty across the Arctic, from the Barents Sea, bordering the North Atlantic, to the Bering Strait as a choke-point opening into the North Pacific, all kinds of economic opportunities are emerging, largely because there is a new ocean without its cap of multiyear sea ice. The Northern Sea Route is open for business. New trade route opportunities between Europe and Asia will become increasingly feasible with next-generation nuclear-powered icebreakers coming online and a new fleet of icebreaker container ships being delivered to transport liquefied natural gas from the Yamal Peninsula. Russia has jurisdiction over, or claims to, nearly half the continental shelf in the Arctic Ocean with some of the richest energy deposits on Earth. The challenge here is planning Arctic investments, possibly $1 trillion over the next two decades, to achieve pan-Arctic sustainability across generations. The high north also is a region of low tension — contrary to media hype — where all Arctic states have been cooperating around science since the Cold War. This is clearly reflected by the Arctic Council, involving all Arctic states and indigenous peoples organizations, along with observers, since 1996. Throughout, this high-level forum has been nourished by objective evidence from its permanent working groups of natural and social scientists. Importantly, elevated from mid-level diplomats to foreign ministers in 2009, the ministerial meetings of the Arctic Council have been explicitly affirming “peace” in their biannual declarations ever since. This is significant because we only hear or read about peace after conflict, which has been avoided in the Arctic. 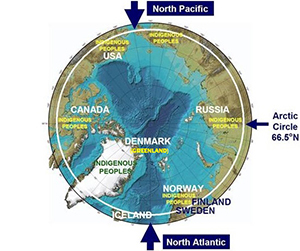 Besides, conflict in the Arctic would be MAD (mutually assured destruction), recognizing the real Cold War dangers of submarine-launched ballistic missiles are still concentrated in the Arctic Ocean, where most of Russia’s Northern Fleet originates. Fortunately, economics drives toward peace with stability necessary for sustainable development and environmental protection, which are the “common” issues of the Arctic Council. The question is how to balance economic prosperity, environmental protection and societal well-being in the Arctic with urgency as well as patient planning across the 21st century. From the Arctic Council, binding agreements are being signed by all Arctic states, starting with one covering search and rescue in 2011 and another governing marine pollution preparedness and response in 2013. Further reflecting the synergies of science diplomacy, a binding Agreement on Enhancing Arctic Scientific Cooperation is to be signed during the next Arctic Council Ministerial Meeting — chaired by the U.S. in Fairbanks in May 2017. Two years ago, the Arctic Council also created the Arctic Economic Council to facilitate Arctic business-to-business activities and responsible economic development. Even the more challenging issues of security are being developed cooperatively among the Arctic eight with the Arctic Coast Guard Forum that began last year, complemented by the binding polar code on shipping that comes into force in January. The next elevation of dialogue for the Arctic is among heads-of-state to reinforce peace as a common interest (as I’ve argued previously in the New York Times). This highest-level cooperation is necessary for the multilateral stability to operate the economic engine of the Arctic with mechanisms that promote cooperation and prevent conflict. The U.S. is chairing the Arctic Council from April 2015 to May 2017. Among original priorities of the U.S. chairmanship, there was to be an Arctic head-of-state meeting. But, this was abandoned following Russia’s annexation of Crimea and the conflict in Eastern Ukraine. The Arctic Council ministerial in Alaska next May remains ripe for an Arctic head-of- state dialogue to begin resetting U.S.-Russian relations. First, sanctions apply in the Arctic through the Kara Sea, where ExxonMobil and other energy majors are precluded from dealing with Rosneft. There also are unintended consequences from the sanctions, extending to biodiversity and environmental protection in the Arctic Ocean as well as reindeer herders on land. Removing sanctions specifically from the Arctic would be of little consequence to their broader application, which is an option to consider in discussions between the new administration and Congress. Importantly, such a shift in foreign policy would preserve U.S. negotiating position while offering a path forward that would be of significant interest to Russia. And the rapprochement could continue after Jan. 20, 2017 — President Trump could convene the first Arctic head-of-state summit in Alaska next May. This is an opportunity for statesmanship to insulate the Arctic from global geopolitics in the common interests of our world. Paul Arthur Berkman is professor of practice in Science Diplomacy at the Fletcher School of Law and Diplomacy, Tufts University, in the United States as well as director of the Arctic Futures Initiative at the International Institute for Applied Systems Analysis in Austria.